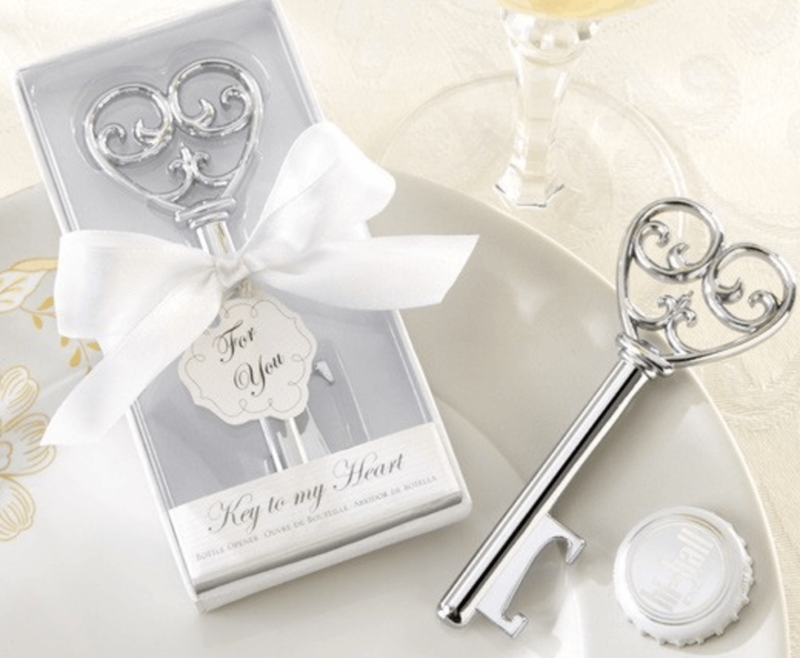 Open the door to a charming, romantic wedding with the turn of this Victorian-inspired key favour! This key shaped design beautifully disguises its use as a bottle opener, and your wedding guests will recall your romance every time they pop a top! Perfect for weddings, anniversaries, engagements and much more!